Order your own pair of Puppy Dog Baby Booties for Halloween, dress-up, or for any occasion to adorn you child's foot with puppies! A foot measurement is always best to ensure proper fit. The age ranges are just suggestions. All kids grow at different rates. 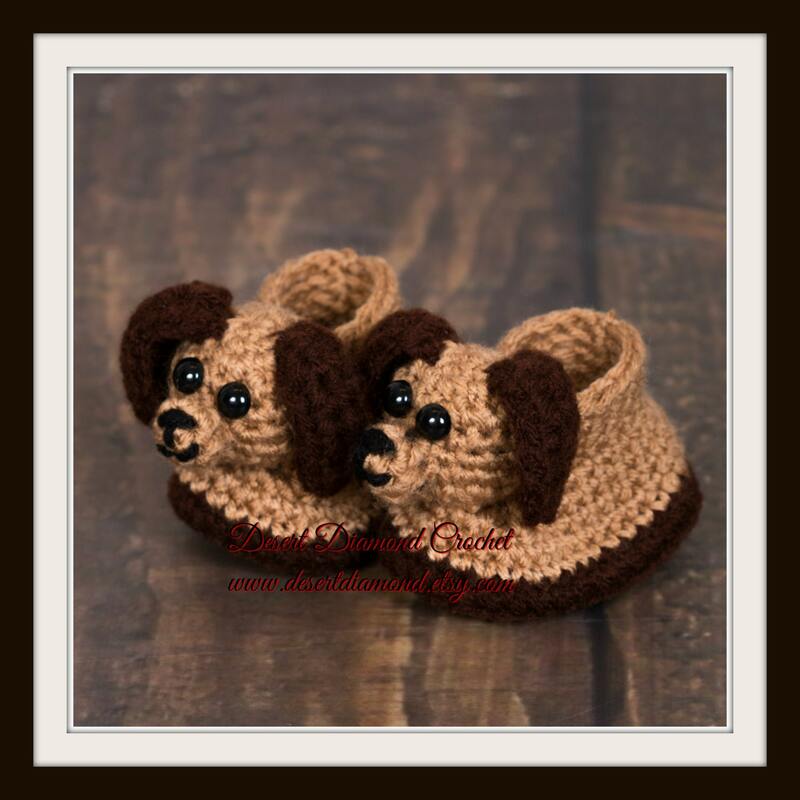 This pattern is my design and can be found in the pattern section of my shop as well as in my new book "Crochet Bootimals - Barnyard Buddies".